The developer recently made a few changes to the HTH planning application, and a couple of moves happened on restoration costs and affordable housing. The Neighbourhood Forum had a look. The revisions to the planning application means the public consultation is re-opened until November 1oth. We hope all those who have already commented were contacted by the planners. The new expected date for determination at the Planning Committee is December 11th. The Forum’s original comments on the development are available here. Our new letter to planning is below. Don’t forget if you want to get involved in the Forum’s work, let us know. Previous posts on Hornsey Town Hall are here. *images are from the developer’s design and access statement. Thank you for alerting us to further revisions made to the above scheme. Crouch End Neighbourhood Forum (CENF) welcomes the response of the applicant to suggestions and objections made by statutory bodies and other stakeholders, though clearly the most recent amendments are minor and do not change the overall conclusion set out in our earlier submission on 2nd October. This was to object to the application. 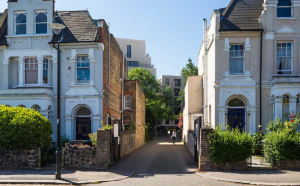 Although the applicant’s responsiveness is welcome, the details of the planning application seem almost a work-in-progress rather than something settled. In addition, the now very long list of documents attached to the planning application has led to a number of people expressing complete bewilderment. Can we urge both applicant and planning authority that as this is a complex large scale major development, if you need more time, take it? – would secure greater acceptance and support for the application. In these regards a few improvements are apparent in the planning application, although the arts operator has hinted at further changes. CENF believes that the many objections to the application, totalling over 500 across the linked applications, are also unaffected by the recent revisions to the scheme, and should continue to be considered as valid. CENF is keenly aware of the high level of public interest in this development. Consequently it may be useful to place in perspective the significant aspects of the project. The Town Hall is an at-risk grade II* listed heritage asset, the most important building in Crouch End. According to Historic England there are 377,587 listed buildings in England, of which just 5.8% are at grade II*. It is one of just three in the local area (the others being Hornsey Church Tower and the Queens public house). In addition, the location of the site, and certainly the civic square, are of very high value to the community and the town centre. 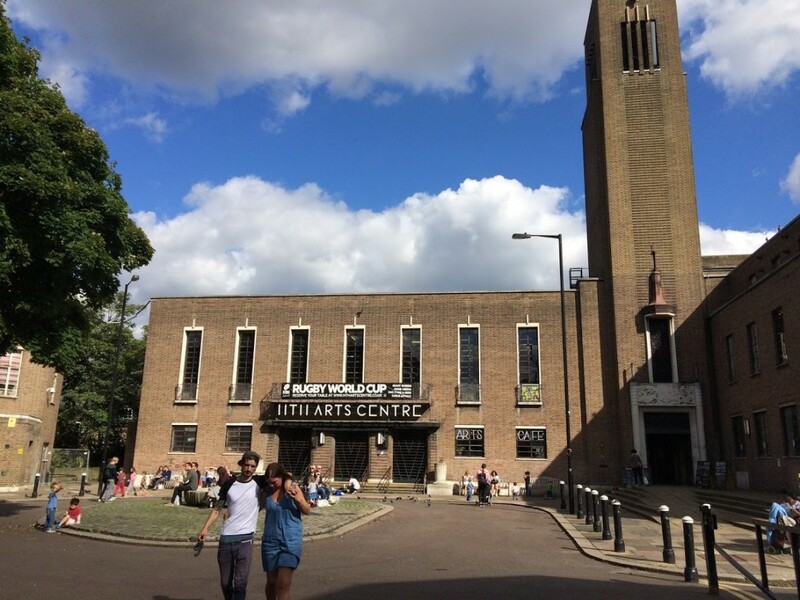 Hornsey Town Hall is therefore both nationally and locally an important building of more than special interest, and a scheme to restore and re-purpose the building is of the highest significance. In contrast, though clearly still of importance to Crouch End, the residential development is of lesser significance, and is simply an enabling development. 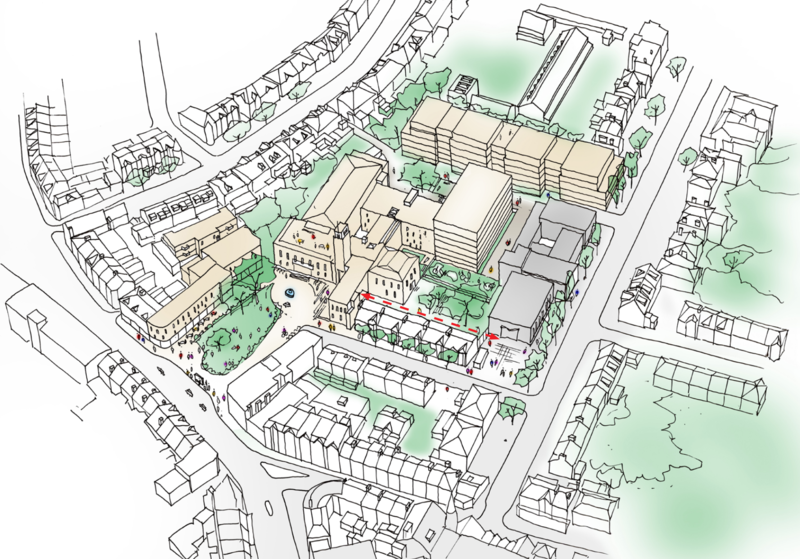 The proposed 146 flats is a similar number to the 136 dwellings recently delivered at nearby Roden Court on Hornsey Lane, and are minor in scale compared to the 1,060 new units along Hornsey High Street (at New River Village and Smithfield Square), and the huge developments in the offing in the East of the Borough. Headline restoration figures were released on October 17th. The report is welcome, though the amounts earmarked for general essential works are difficult to separate from refurbishment for new uses. Obviously some form of oversight of the project is necessary, and we also await details of planning conditions that will determine a phased development which safeguards a fully realised restoration project. The provision for, and delivery of the restoration is of key importance. Following the announcement of the arts operator, meetings have now taken place and some information regarding the arts, community and business uses of the Town Hall made available to the community. CENF particularly welcomes the outlines of workspace uses of the Town Hall. The future of B1 use for small businesses and creative industries was a key concern. We note that the operator and architect have suggested that further design changes to the Town Hall interior may be made to reflect the operator’s workspace requirements. If extra space can be designated, all the better. It would be useful to see new designs at the earliest opportunity, as any changes would have to be presented for Listed Building Consent. The height of Block B has been reduced (by some 15cm or so per floor) apparently in response to comments made by Historic England. No adjustment has been made to the height of Block A. The revisions do not alter our stated position which is set out in our previous submission. Although a balance of priorities must be found, the enabling residential development should not cause harm to the setting of the listed buildings or the Conservation Area, or neighbouring amenity. It would be simply inconsistent of us, and the planning authority, not to oppose the proposed height of the enabling development. The applicant has proposed that 11 affordable units are located in the upper floors of Broadway Annexe West. This was confirmed in a statement by the Assistant Director of Planning setting out that Haringey Council will be underwriting this commitment. We note that such an announcement made in advance of the findings of the authority’s independent advisor’s evaluation of the applicant’s viability assessment is somewhat unusual, and alas has seemingly engendered further popular suspicion. However, of course affordable units are very welcome, more so that the 11 units appear to be set as a minimum for the scheme. It may well be possible to achieve more. Some reservations have been raised over the location as the upper floors of Broadway Annexe are single aspect to a noisy busy space and adjoin a venue with a potential 1,400 capacity and a 2 a.m. licence. The affordable units could, of course, go elsewhere on site. A mode of intermediate or social rents rather than shared ownership is preferred. We await the findings of the independent evaluation of project viability and proposed planning obligation for affordable units. We welcome recent collaboration with community groups, the efforts of the architects to respond to comments, and the recognition of the significance of the space to the community. A fuller presentation of issues regarding the square is available in our previous submission. CENF remains of the view that we object to aspects of the development. 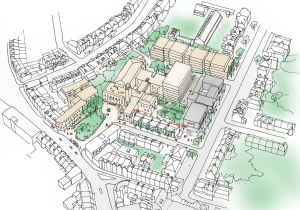 However we absolutely share the wish to see a development which secures a restoration, community access, and viable uses for Hornsey Town Hall, and this is a crucial opportunity for Crouch End to see that long overdue solution. We await further amendments to address our concerns and hope that additional design revisions and full details of proposed planning conditions will be made available well in advance of any submission to the planning committee. Please do contact us should any further information be required. 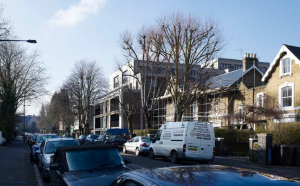 The scheme for Hornsey Town Hall will be determined at the Planning Committee this evening, 7pm Monday 11th December, Wood Green Civic Centre. 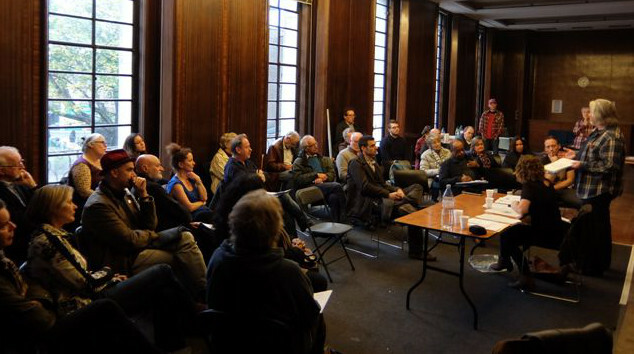 Planning Committee meetings are held in public so feel free to attend – or you can follow the action from the warmth of your sofa via the Haringey webcast (https://haringey.public-i.tv/core/portal/home).